Ships today if you order in the next 11 hours 51 minutes. 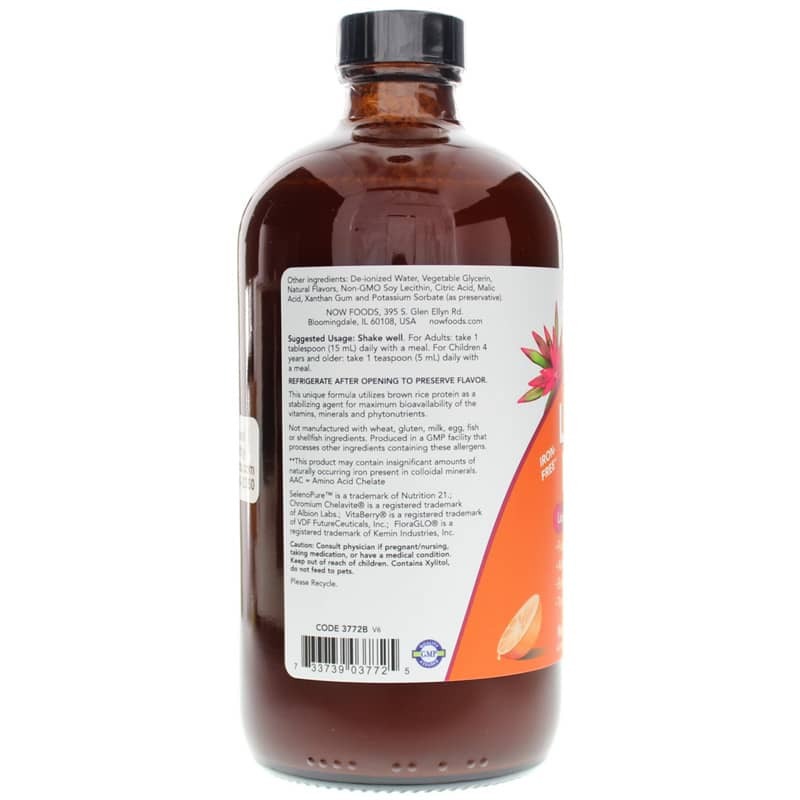 Wild Berry Liquid Multi by NOW is a high potency liquid vitamin and mineral supplement with antioxidants, herbs, citrus bioflavonoids and other added phytonutrients. Multiple vitamins can help fill in the areas lacking in our diets, and are formulated to provide a broad range of nutrition in a synergistic manner. In a world of processed foods and fast-paced lifestyles, many of us do not get the daily recommended allowance of vitamins, minerals and other nutrients. 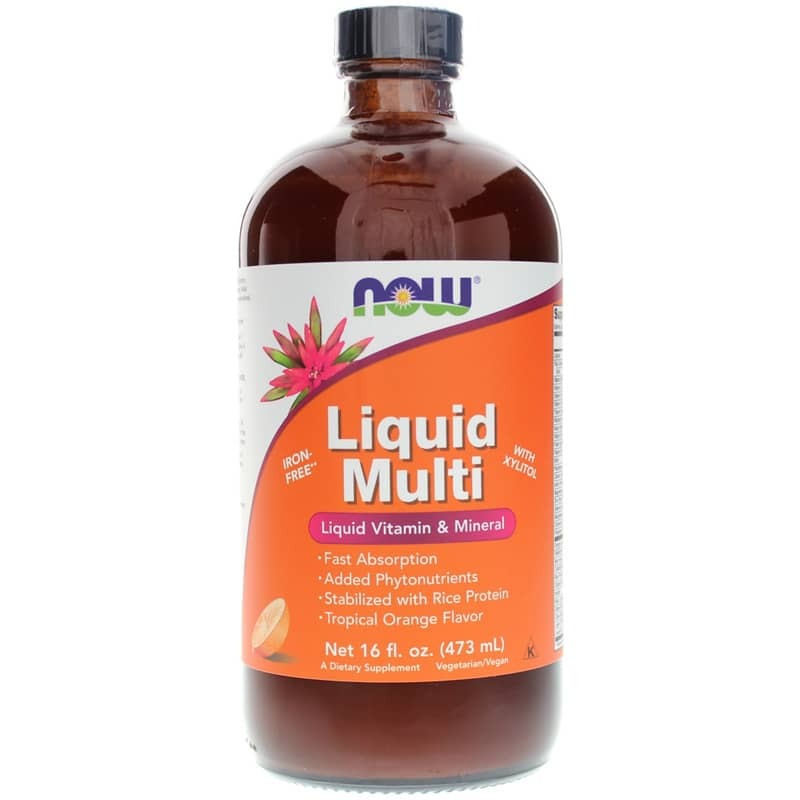 This high potency Liquid Multi from NOW can help to bridge the nutrient gap in our daily diets. Other Ingredients: de-ionized water, vegetable glycerin, natural flavors, non-GMO soy lecithin, citric acid, malic acid, xanthan gum and potassium sorbate (as preservative). Not manufactured with: wheat, gluten, milk, egg, fish, or shellfish ingredients. Produced in a GMP facility that processes other ingredients containing these allergens. Adults: Shake well. Refrigerate after opening. 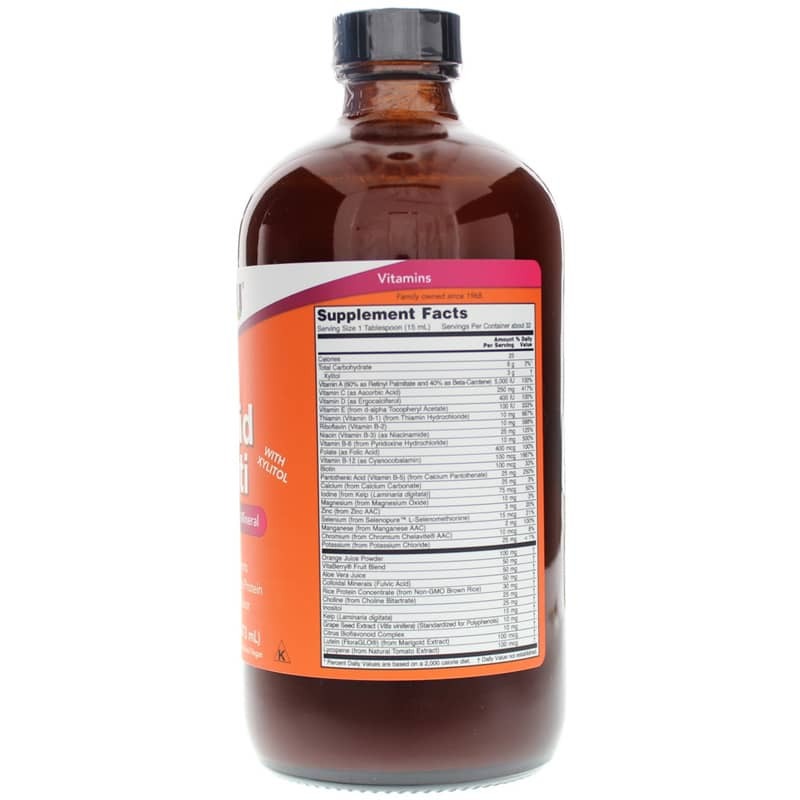 As a dietary supplement, take 1 tablespoon (15 mL) 1 to 2 times daily with meals. For Children 4 years and older: take 1 teaspoon (5 mL) 1 to 2 times daily with meals. For adults only. Consult physician if pregnant, nursing, taking medications, or have a medical condition. Keep out of the reach of children. Contains Xylitol. Do not feed to pets. Great basic vitamin & mineral! NOW Liquid Multi fit the bill!